City of Wolverhampton Council has welcomed Galliford Try Partnerships as the new developer on 2 of its major housing regeneration sites in the city. The move comes after the leading UK construction group acquired the Tower and Fort Works site in Graiseley and the former Tap Works site in Low Hill from Bouygues, who are withdrawing from the low rise family housing market. 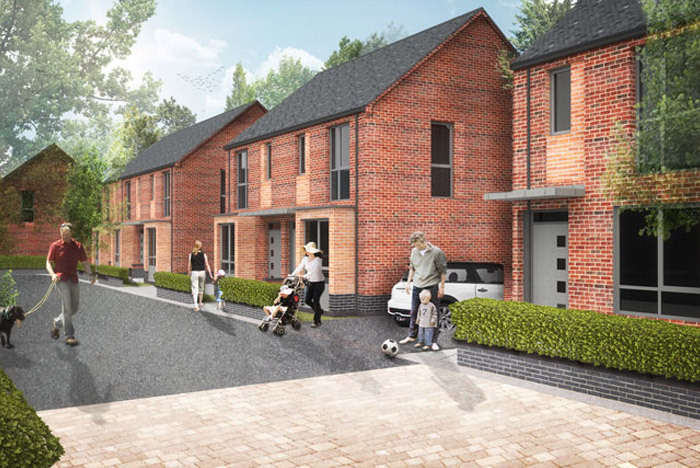 Galliford Try will continue with the delivery of 150 high quality homes on the Tap Works scheme, which consists of 3 derelict locations – the former Armitage Shanks Tap Works Factory site, as well as land on Fifth Avenue and Broome Road. 40 of the units will be council homes for rent, with the remainder to be sold as market housing. The first council homes are set to be completed within a year. The remaining Council homes as well as market housing for sale is expected to be completed within 3 years. The remainder is to be sold as market housing, with the development consisting of a mixture of 2, 3, 4 and 5 bedroom houses, plus 5 apartments, including 2 wheelchair accessible flats. Deputy Leader and Cabinet Member for City Assets and Housing, Councillor Peter Bilson, said: “We are delighted we have been able to secure a developer of Galliford Try Partnerships’ quality for these 2 very important housing regeneration schemes in the City of Wolverhampton. “This is an exciting time for house building in the city with a host of projects springing up to benefit everyone.